Tools and techniques for legal information search, retrieval, visualization, representation, organization, and management are vital to improving access and understanding of legal information and legal knowledge. The general public, business, government officials or legal professionals can benefit from research and implementation on enhanced legal search and retrieval capabilities, document drafting and case management tools, legal document production, management and publishing systems, or workflow management and compliance monitoring solutions, to name a few. Proposing solutions to deal with information overload and poorly-structured dirty data, to represent legal documents or concepts and organize legal structure, to offer solutions for multilingual or multi-jurisdictional search and retrieval of legal documents, in short, to better organize legal knowledge and deal with legal complexity, are some of the challenging tasks that this track will explore. Núria Casellas is an Assistant Professor of Jurisprudence at the Public Law and Political Science Department of the Autonomous University of Barcelona, and researcher at the Institute of Law and Technology (UAB, Spain). She is currently a visiting postdoctoral researcher at the Legal Information Institute, at Cornell University Law School. Her current research explores the social construction of legal concepts and the use of computation legal ontologies for legal knowledge representation, the application of Linked Open Legal Data, and the relationship between the open access to public information (in particular, legal information), and their effects on rule of law and governance. She has recently published “Legal Ontology Engineering”. 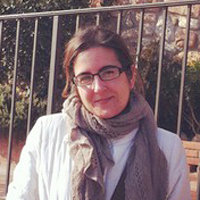 She has participated in several national and European-funded research projects regarding the acquisition of knowledge in judicial settings (IURISERVICE), improving access to multimedia judicial content (E-Sentencias), on Drafting Legislation with Ontology-Based Support (DALOS), or in the Legal Case Study of the Semantically Enabled Knowledge Technologies (SEKT VI Framework project), among others. She holds a Law Degree from the Universitat Autònoma de Barcelona, a Master’s Degree in Health Care Ethics and Law from the University of Manchester, and a PhD in Public Law and Legal Philosophy (UAB). 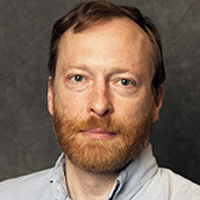 John Joergensen is the digital services librarian at Rutgers University School of Law – Camden. Since 1997, he has published a wide range of New Jersey primary source materials, and is currently digitizing the library’s collection of congressional documents. His work has been recognized by the American Association of Law Libraries. More recently, he was included as a member of the FastCase 50 list of innovators in the field of legal information in America. Mr. Joergensen received B.A. and M.A. degrees from Fordham University, J.D. from Temple University, and M.S. (LIS) from Drexel University. Prior to coming to Rutgers, he practiced law in Philadelphia, PA.